Christmas Lunch, Hogmanay Banquet and our Boxing Day and New Year’s Day Seafood Buffets are all available to non-residents to book. 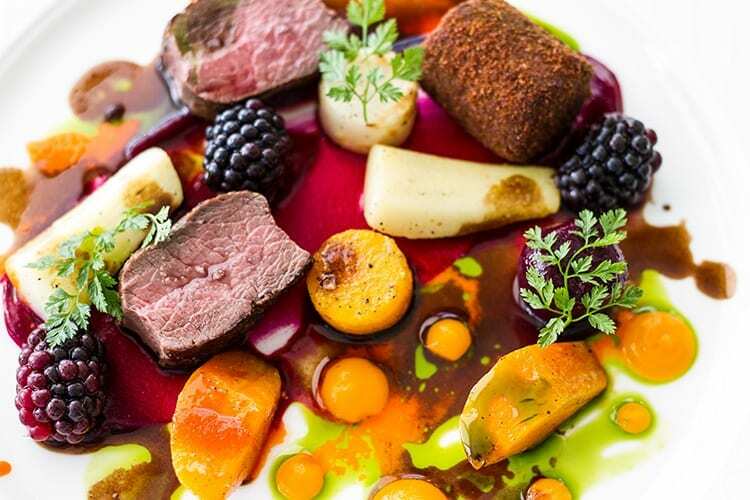 Book our sumptuous five-course Christmas Lunch (Gourmet or Classic) and enjoy the finest produce the region has to offer as well as festive favourites such as mince pies, home-made petit fours and Christmas pudding. 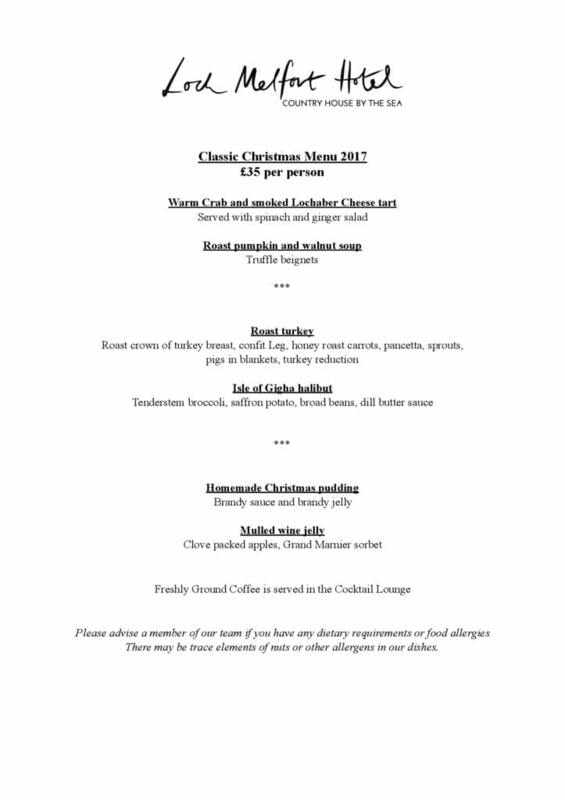 To book Christmas Lunch, please call us on 01852 230 300. 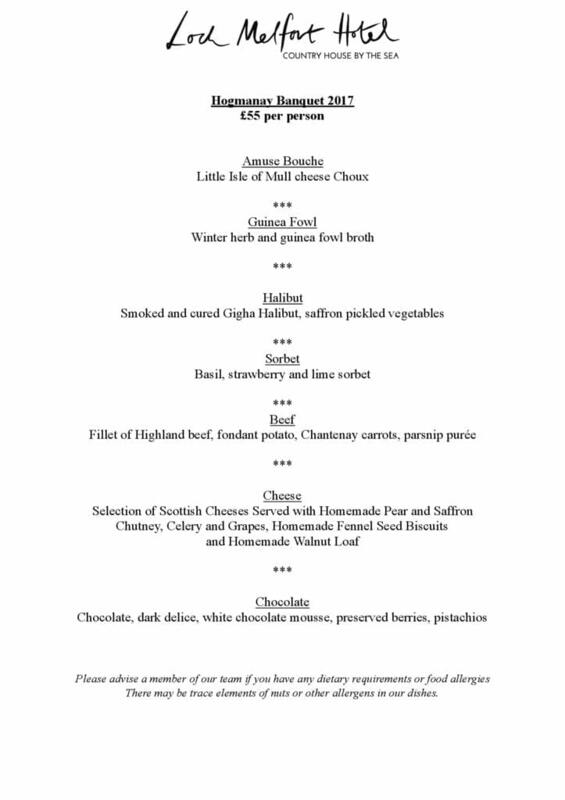 Our New Year’s Eve Hogmanay Banquet is a fantastic 7-courses. What better way to start the evening’s celebrations and festivities. 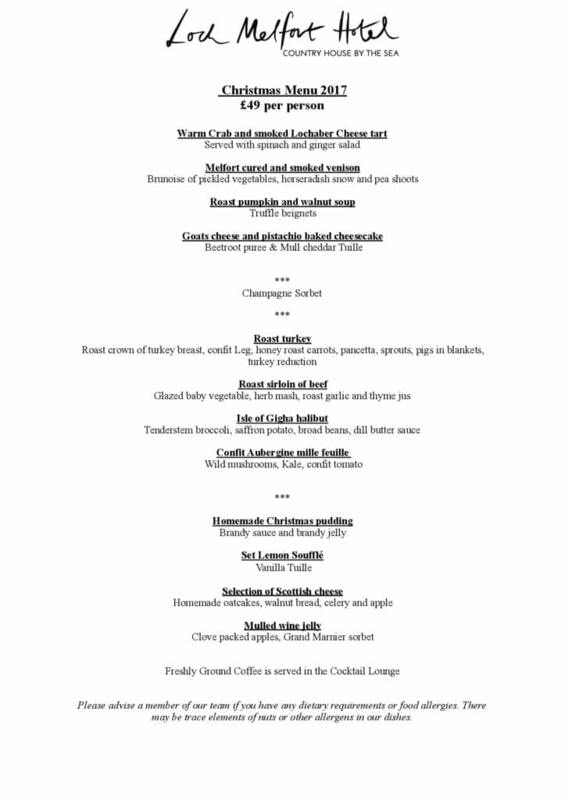 To book our Hogmanay Banquet, please call us on 01852 230 300. In the evening we will be serving our spectacular signature seafood buffet between 7 p.m. and 9 p.m. – indulge in some of the best local seafood Argyll has to offer. £47 per person. To book our Boxing Day or New Year’s Day Seafood Buffet, please call us on 01852 230 300. Why not treat your loved ones to an experience at Loch Melfort Hotel.